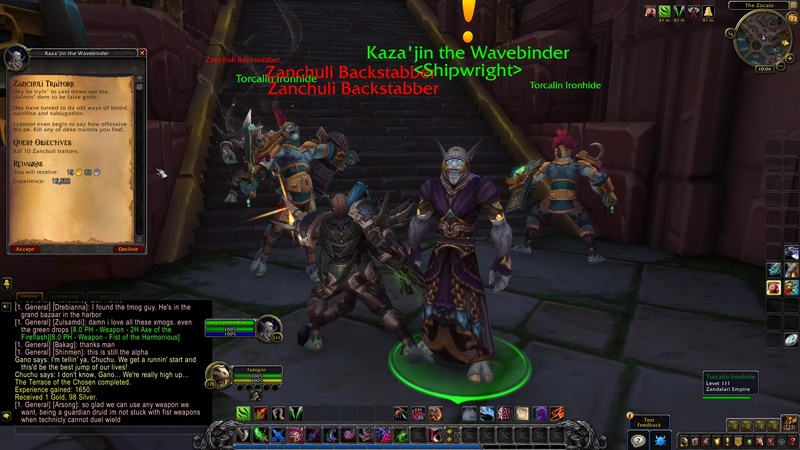 Kaza’jin the Wavebinder: I never thought I would be turnin’ to da Horde for help savin’ my own temple. Kaza’jin the Wavebinder: Dey be tryin’ to cast down our loa, claimin’ dem to be false gods. Dey have turned to da old ways of blood, sacrifice and subjugation. I cannot even begin to say how offensive dis be. Kill any of dese traitors you find. 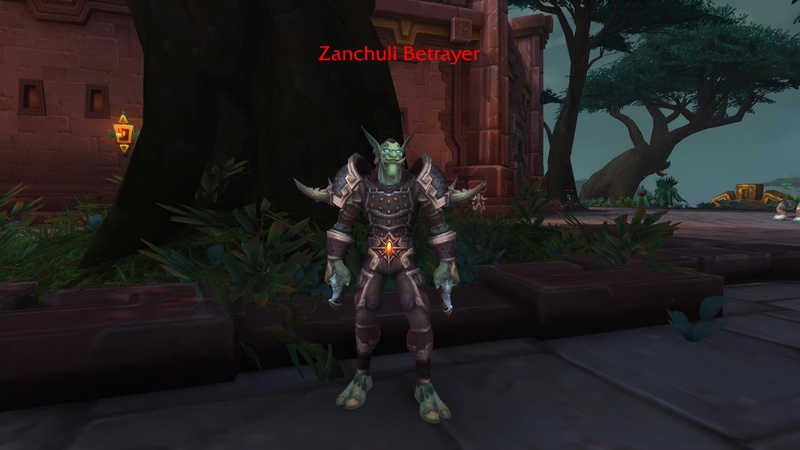 TIP: Kill Zulian Inqusitor, Zanchuli Berserker, and Zanchuli Betrayer mobs at Zanchul (The Zocalo). 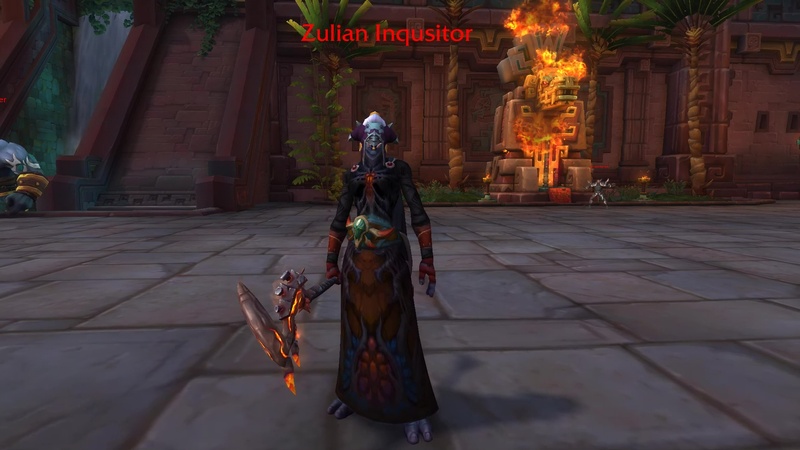 Zulian Inqusitor: Open your soul to G’huun, or we shall open it for ya. Zulian Inqusitor: Zul has shown us the path, and you will follow that path, or die. Zulian Inqusitor: First I’m gonna kill ya, then I’m gonna go ta work on you. 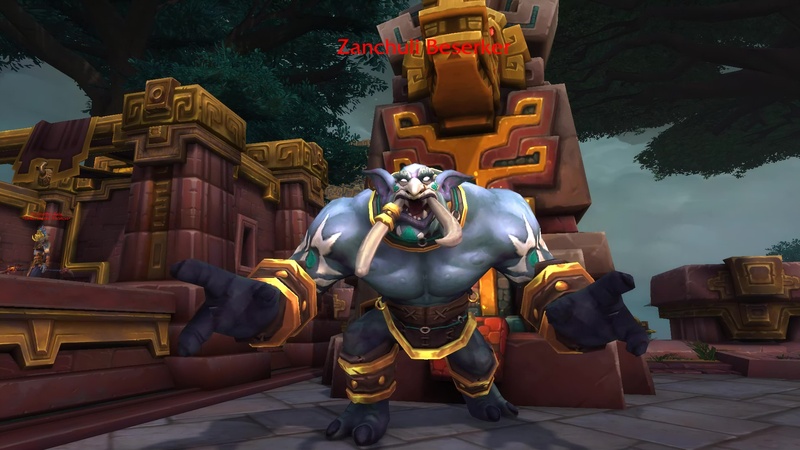 Zulian Inqusitor: One by one, da loa gonna fall, and all that will remain will be G’huun. Zulian Inqusitor: Your King has fallen. Surrender to your fate. Zulian Inqusitor: Da time of bargaining wit’ weak loa be over. Awake now, and serve ya true god, G’huun. 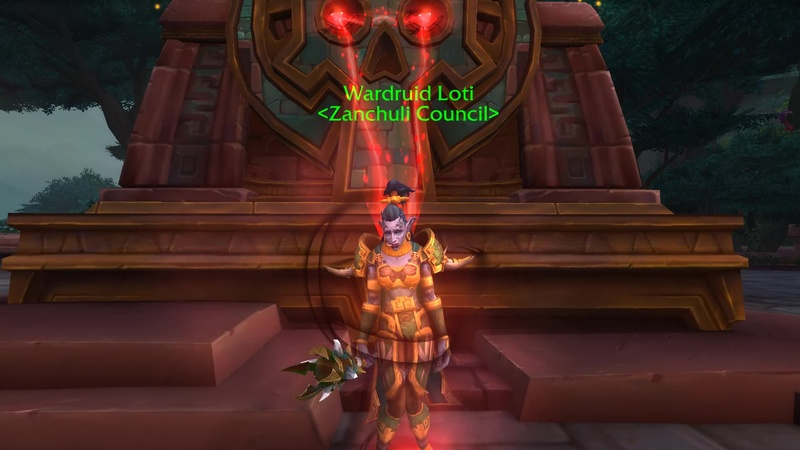 Wardruid Loti: You killed how many? Well, dat be a start.